Armenia, officially the Republic of Armenia, is a landlocked mountainous country in the Caucasus region of Eurasia. Situated at the juncture of Western Asia and Eastern Europe,it is bordered by Turkey to the west, Georgia to the north and Azerbaijan to the east. Armenia prides itself on being the first nation to formally adopt Christianity (early 4th century). Despite periods of autonomy, over the centuries Armenia came under the sway of various empires including the Roman, Byzantine, Arab, Persian, and Ottoman. During World War I in the western portion of Armenia, Ottoman Turkey instituted a policy of forced resettlement coupled with other harsh practices that resulted in an estimated 1 million Armenian deaths. 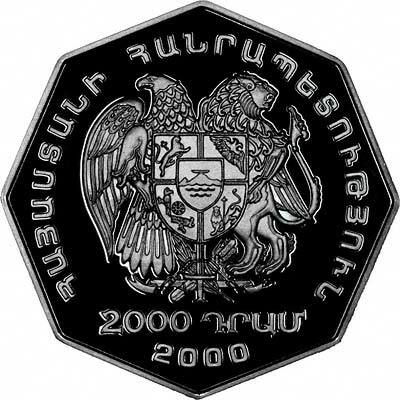 The eastern area of Armenia was ceded by the Ottomans to Russia in 1828; this portion declared its independence in 1918, but was conquered by the Soviet Red Army in 1920. Armenian leaders remain preoccupied by the long conflict with Azerbaijan over Nagorno-Karabakh, a primarily Armenian-populated region, assigned to Soviet Azerbaijan in the 1920s by Moscow. Armenia and Azerbaijan began fighting over the area in 1988; the struggle escalated after both countries attained independence from the Soviet Union in 1991. By May 1994, when a cease-fire took hold, ethnic Armenian forces held not only Nagorno-Karabakh but also a significant portion of Azerbaijan proper. The economies of both sides have been hurt by their inability to make substantial progress toward a peaceful resolution. Turkey closed the common border with Armenia because of the Armenian separatists' control of Nagorno-Karabakh and surrounding areas.